At the end of the Great War, there were thousands of British burial grounds scattered across the old battlefields that had once formed the Western Front. Some of these were a mere handful of graves, others like Lijssenthoek near Poperinghe – then the largest British cemetery – nearly 10,000 graves. The Imperial War Graves Commission (now Commonwealth War Graves Commission) had been formed in 1917 to take on the perpetual care of these sites. Decisions had been made early on not to repatriate the dead, but how could these cemeteries be made permanent? And what should replace the wooden crosses? 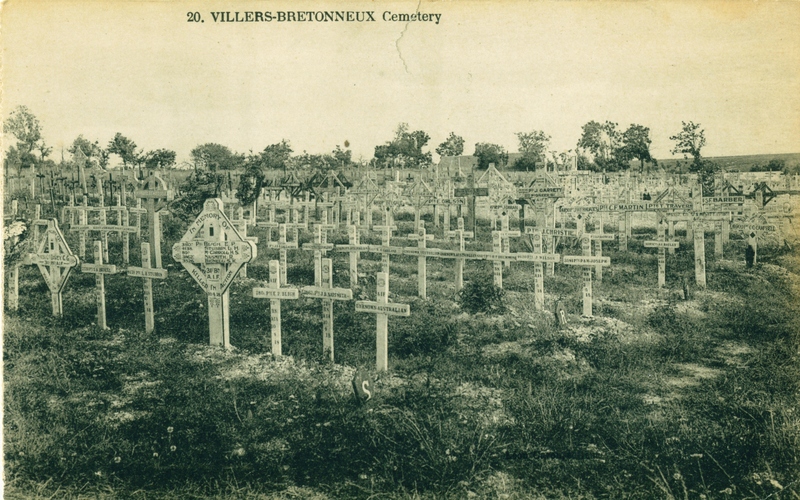 BRITISH GRAVES IN FRANCE. A special correspondent of the Free Press Association in Paris learns that real progress now being made with the construction of the permanent cemeteries which are to replace the present burial grounds of British soldiers killed on the French battlefields Three cemeteries in the Somme area at Le Treport, Forceville and Acheux, have been nearly completed. 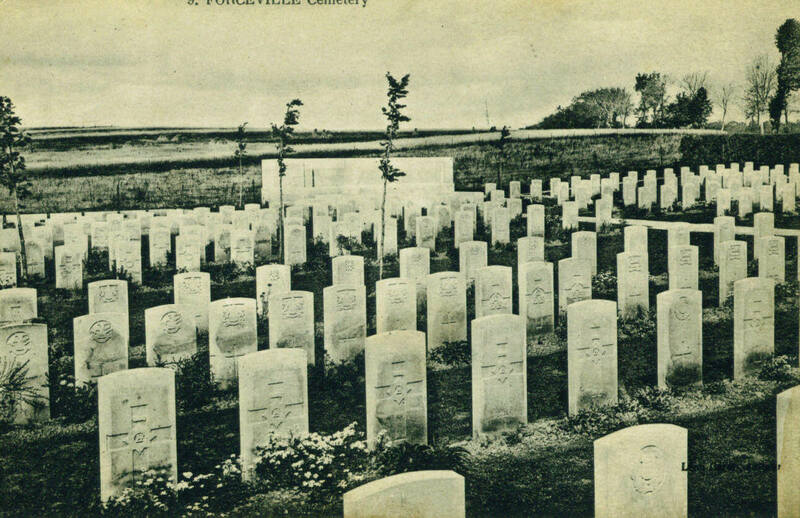 In conformity with the pattern decided upon by the Graves Registration Committee, according to which each cemetery is surrounded by a stone wall and each grave has its own engraved headstone In all, there are over 1,500 Britsh burial grounds in France, and of these 300 have already been taken over by officials of the Commission. Work will be in full progress as soon as the spring weather sets in, and it is expected that 100 cemeteries will be finished by the end of this summer. One design has been approved for all cemeteries, and owing to the immense numbers affected it will probably not be possible to consult individual wishes as to whether a stone head-piece should be erected or the original wooden cross left as it stands today. It took another eighteen years for the cemeteries to be completed, over 2,000 of them in Belgium and France, and the final one finished less than a year before the outbreak of the Second World War. In the 1920s and 30s they were visited by thousands of English-speaking people, often as part of large events such as the Royal British Legion’s ‘Great Pilgrimage’ in August 1928. 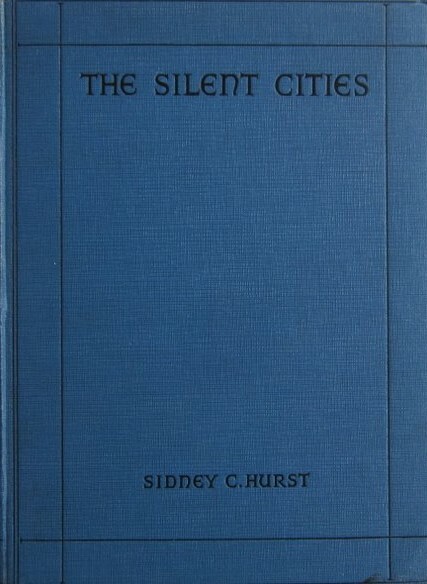 In 1929 Sydney Hurst published a book called The Silent Cities. Hurst had worked for the Imperial War Graves Commission and had spent much of his spare time travelling around the old battlefield area photographing the cemeteries. It was an amazing achievement at the time, and while original copies of the book are hard to find, it was reprinted by Naval and Military Press and is still available. This book is in some ways the ‘bible’ to visiting the cemeteries in France and Flanders, and the photographs in it themselves now give us a glimpse into what the cemeteries were like more than 80 years ago. In my work as Head Battlefield Guide for Leger Holidays, and over many decades of visiting the Old Front Line, I have been fortunate to visit many of the Silent Cities, but not all. I’ve literally taken thousands of photos of the cemeteries from the 1980s until today, but what to do with them? A new part of this site will now be devoted to the Silent Cities and it can be accessed via this link: Silent Cities on WW1 Revisited. For each cemetery, I will upload a host of images, including some older ones where I have them, and the information will come from the early Cemetery Registers published in the 1920s and 30s. Great War author Barry Cuttell very kindly gave me breakdowns of the burials of most cemeteries and where possible I will include this information too, along with a Google Maps map showing how to find it. Do take time to subscribe to the Blog, follow me on Twitter for updates, or just regularly pop in to see what has been uploaded. Today the Silent Cities mark the crisscross paths of the Great War, and act as beacons to help us understand and connect to this landscape of memory and remembrance. The inscriptions give us insight into what this remembrance meant a century ago, whether that is personal statements on soldier’s graves or Kipling’s moving and powerful ‘Known Unto God’ on the headstones of unknown soldiers. These places and these words still have a resonance today, and I hope WW1 Revisited will inspire a few people to make the journey themselves.